Crested Butte is loved by many, and its unique charms are what makes Crested Butte Real Estate so desirable. Crested Butte is a former coal mining town, unlike towns such as Telluride and Aspen, which mined silver and gold. 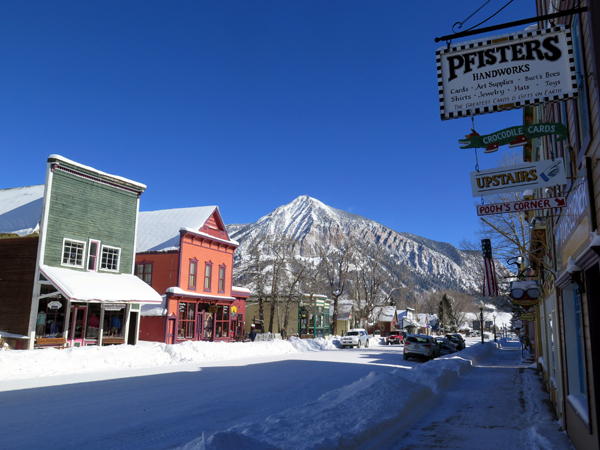 The coal mining heritage of Crested Butte is what gives it its unique character- the buildings in Crested Butte are typically wood, rather than brick or stone as seen in other Colorado mountain towns. The majority of the town is a designated National Historic District, and town regulations require new buildings and other construction to conform to the historic building style, via BOZAR. Crested Butte remained a coal and supply town until 1952, when the mines shut down. Crested Butte began its new life as a ski town in 1962, when Crested Butte Mountain Resort first opened. Today, Crested Butte is a year round recreational destination for visitors and a family community for the roughly 1,500 people that live here year round. Crested Butte real estate can be divided into four quadrants, roughly divided by the four-way stop at Elk and 6th. The most sought-after location is the Northwest corner. This area sees the least amount of traffic, because Butte, Teocalli, and Gothic streets do not have bridges over Coal Creek, except for pedestrians. This part of town is a great location for a Crested Butte luxury home. This area also has some of the best views of Paradise Divide and easy access to the Peanut Lake and Lower Loop area. The Southwest corner is the gateway to Kebler Pass and also contains historic homes like the Northwest corner. The Northeast side of town features a mix of condos and homes with easy access to the recreation path connecting town with Mount Crested Butte. Finally, the Southeast section of town is where Crested Butte’s highly ranked K-12 school is located. Many of the newer homes in town are found in the Verzuh annexation on the East side of Crested Butte. While many people assume that the highest prices in Crested Butte would be found at the ski area, that is not the case in Crested Butte. Downtown Crested Butte consistently has the highest property values in the area, and during the Great Recession, Crested Butte saw the smallest dip in prices, and the fastest rebound compared to every other area. To learn more about buying or selling a home in Crested Butte, feel free to contact me anytime. Can Rental Income Be Used to Qualify for a Mortgage?